Recently at work, I've been very busy tagging items with colored tags. Normally, once all the tags are used up on a sheet, the sheets are thrown away. Saturday, however, as I stuffed one in the garbage, I had a second thought. HINT: Think kleenex boxes. I realized that I should be able to use this throw-away sheet of "stickers" in my cardmaking somehow. 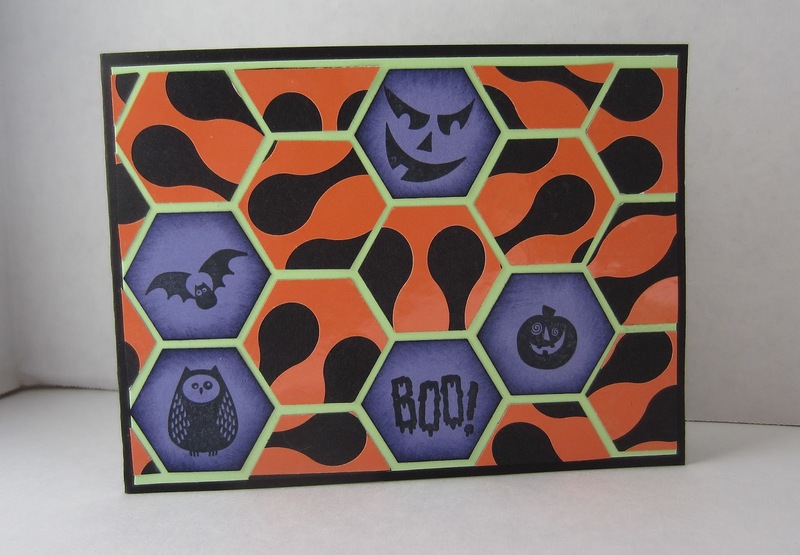 The sheet I had rescued was a vivid orange that simply begged to be used in a Halloween card. 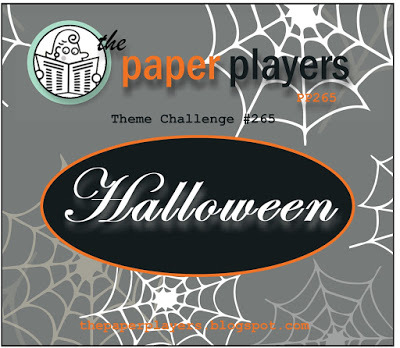 So, when I saw The Paper Players theme challenge this week called for a Halloween card . 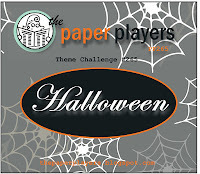 . .
Peeling off a strip of the orange, I adhered it to a piece of black cardstock about the same size. Then, I went to work with my Hexagon Punch, being careful to punch them so they showed interesting compositions. Initially, I was going to have all the shapes going in the same direction like they were on the sheet. But, that looked kinda boring. After shuffling them around, I discovered that they were much more Halloween-y looking pointing in random directions. So, that's what I did with my design. 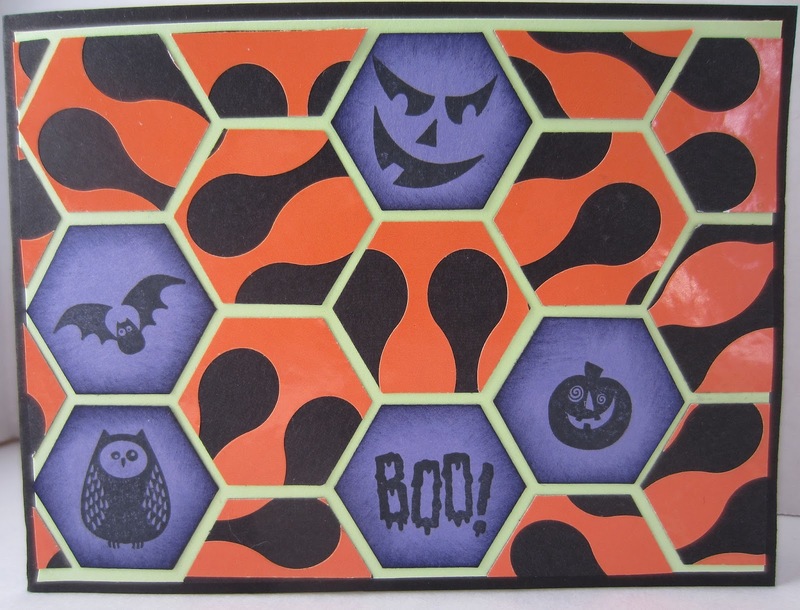 The Halloween images in the purple hexagons came from three old Halloween sets that I will NEVER get rid of. The following photo shows a slight reflection from the light because the stickers themselves are shiny. This shine was a wonderful complement to the flat look of the black to which it was attached. Now, THAT'S the way to recycle, eh? That is so cute. I sure hope you'll keep a few more of the sticker sheets. Those kleenex boxes turn into artwork in your hands. SO cute!! I love this one! HA! Genius. Featuring your creative card when my party opens up tonight.